The FBI discovers that Patrick Lloyd in in D.C. based on the shape of his ear. Chuck gets a joke in (good for you, Chuck!). Kirkman decides to not tell the public about Lloyd’s arrival—it’ll compromise the investigation—but does inform the Homeland Security Council, who are pissed that they don’t get a say in the decision to keep it secret, or in planning his capture. One guy is especially pissed, and he leaks the meeting to the press but says it’s about closing a base in his district. The President shuts him down, and nothing happens. Agent Wells and company make contact with a Patrick Lloyd’s previously unmentioned estranged son, and he lets slip that his dad swung by for about 30 seconds and tried to give him money. Elsewhere, the First Lady’s mother (whose absence is explained because she’s been living in Paris, learning to draw for the last year) rejects a designer gown for the event that evening—oh, yeah, it’s also the night of the White House Correspondent’s Dinner—and heads home to get her own dress. The FBI attempts to track Lloyd from his kid’s house, but said kid’s info was worthless, and while the FBI chases a college kid on a toll road, Lloyd shows up to trash Alex’s mother’s house while she hides in the bathtub. Also, the President makes a joke about his mother-in-law being a prostitute. The FBI finds nothing in the house, and nothing happens. Hannah gets information about a car from a neighbor, and Chuck finds an abandoned lot that Lloyd owned through Browning Reed, which is two miles from the house. Hannah and her MI-6 friend go to the lot and Lloyd shoots the Brit, but the injury doesn’t matter at all. Lloyd holes up in a bunker and sends a message that he will release sarin gas if the President doesn’t grant him amnesty during the Correspondent’s Dinner, which obviously would constitute a legally binding statement. Also, Seth can’t write jokes, which doesn’t end up mattering at all. Hannah and the Brit find a escape hatch leading into the bunker, almost get blown up when they try to break in, and nothing happens. The President attempts to talk to Lloyd about parenting to stop him from being a terrorist, and nothing happens. One of the other members of the HSC sues to stop the President from using a drone to blow up the bunker, and the committee’s lawyer seems to hint to Aaron that it would all go away if it wasn’t the military doing all the blowing up. The FBI takes over, and the court case vanishes. A drone bombs the building and they find Lloyd’s remains. He didn’t really have sarin gas but he did have an Internet connection. Kirkman hires the lawyer. The White House Correspondent’s Dinner happens offscreen, presumably, and The President’s daughter tells the only good joke in the entire hour. End of episode. There are only three things here that definitely matter: Lloyd manages to upload something to the cloud before a drone drops a bomb on his bunker; the President hires the HSC’s lawyer to be the new White House Counsel; and we meet Alex’s mom. As far as I can tell, an hour that’s basically nothing but plot results in these three developments and nothing more. Assuming there were other ways of introducing Bonnie Bedelia (Die Hard) as Eva and Zoe McLellan (NCIS: New Orleans) as Kendra Daynes, here are the things in all that mess that were actually necessary: Chuck spots an ear, they find the abandoned lot, Lloyd makes the threat, they drop the bomb, they discover his mysterious upload. That last item is the titular sting in the tail, and apart from the apparent dispatching of Lloyd, it’s the only development that seems likely to impact the story or the characters moving forward. If “Sting Of The Tail” tells us anything, it’s that this series has absolutely no interest in the arc of a story. Perhaps we should have learned that last year, when MacLeish was so rapidly dispatched, but at the time, it felt like a watercooler moment, a Scandal-esque gasp-inducing shocker. Now, it just seems like more bad plotting, because according to this episode, a vast conspiracy to take out the entire U.S. Government was set in motion because Patrick Lloyd lost his dad and his son. To repeat: Patrick Lloyd headed a vast conspiracy that encompassed a sitting U.S. Congressman, the National Security Advisor, and what seems like an entire town, and together they assassinated a President, the Supreme Court, and nearly all of Congress, because one guy’s dad went to jail and the same guy lost a custody battle. But even those motivations don’t matter, because Kirkman’s realization and subsequent fatherly chat doesn’t pay off, either. Nothing pays off. That’s not to say that the events of “Sting Of The Tail” couldn’t have major ramifications, either personal or political. Let’s hope they do. Let’s hope that the President’s decision not to admit that Lloyd was bluffing about the sarin matters—that he feels guilty, or gets caught. Let’s hope that the use of a drone strike against a civilian matters, because Kirkman has misgivings, or because a civilian watchdog organization calls him out. Let’s hope Lloyd used that unnecessary escape hatch and the remains belonged to someone else, or that it turns out that Lloyd went to Eva’s home for a reason, or that Kirkman’s efforts to reach Lloyd provoked some sort of emotional reaction, or that there are other pieces in motion. Lloyd’s alive, or Eva is scarred, or Alex is furious, or Seth is worried he’ll lose his job, or Kirkman’s guilt is eating him alive. Something. Anything. Those stories might not be fascinating, but at least they’d acknowledge that both consequences and forward momentum matter in storytelling. 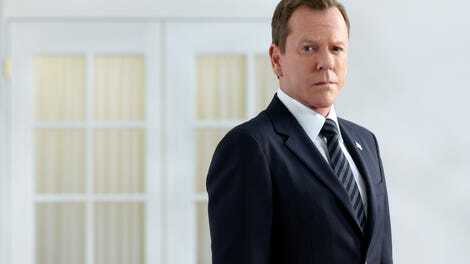 Those stories, or others like them, would signal that the writers of Designated Survivor have any interest at all in things like character development or careful plotting. Not everything can be Breaking Bad, where the repercussions of one decision are felt for years; no one expects Designated Survivor to be Mad Men (or, yes, The West Wing), where character is king and even a lack of change can be engrossing. Hell, not every show can be Scandal, where there may not be much sense but there’s never a lack of excitement. No one expects Designated Survivor to be any of those shows. But it should be something, should it not? It’s possible that the Designated Survivor team realizes that the first season didn’t quite work, and they’re attempting to wash the whole conspiracy (and the reason for their premise, but hey, whatever) away with this one hour. If that’s the case, and the result is a show interested in the characters who populate it, it’ll be worth this bogus, wasteful episode. Otherwise, it’ll render this the point in Designated Survivor’s short history where it, like Patrick Lloyd, had an escape hatch it inexplicably failed to use. Here’s Steve Heisler’s AVC review of “Posse Comitatus,” an excellent episode of The West Wing. The review also goes into what Posse Comitatus is, for those that don’t know, since this episode did a less than sound job of explaining the thing. Or really of explaining anything. ...What? : The whole episode belongs here, but I still can’t get past the fact that Aaron is the NSA. Oh, also, there’s no way Seth wouldn’t get help writing for the Correspondents’ dinner. Oh, and what are the odds that the Secret Service would leave anyone related to the President alone when someone who blew up the whole damn government was in the area? In an hour filled with inexplicable moments, Mike Ritter’s joke was easily the most inexplicable. On the positive side, Hannah running the hell away after MI-6 tells her he ran track for Oxford was hilarious. 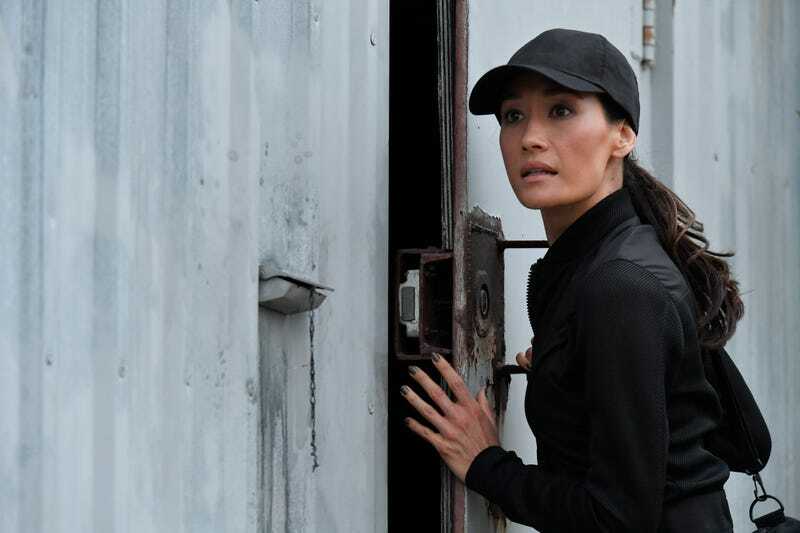 Also please note that this show is so uninterested in character that it hasn’t even bothered to have Maggie Q flirt with a dude quite obviously brought on board to be her love interest, or to have him flirt with her. I said this last year, but McKenna Grace is really good in Gifted, a dumb movie made palatable by some very good acting.